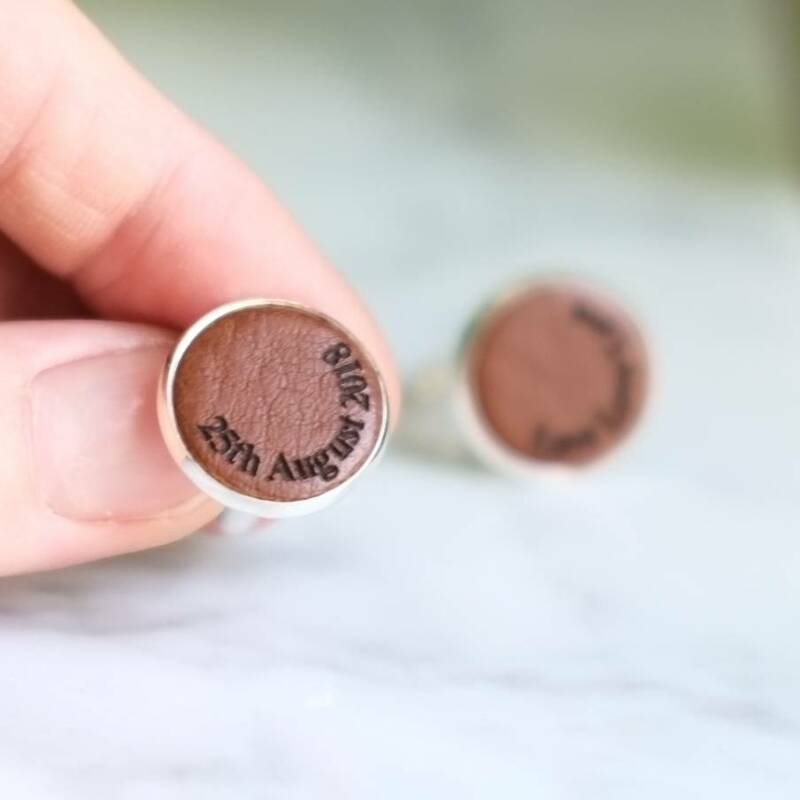 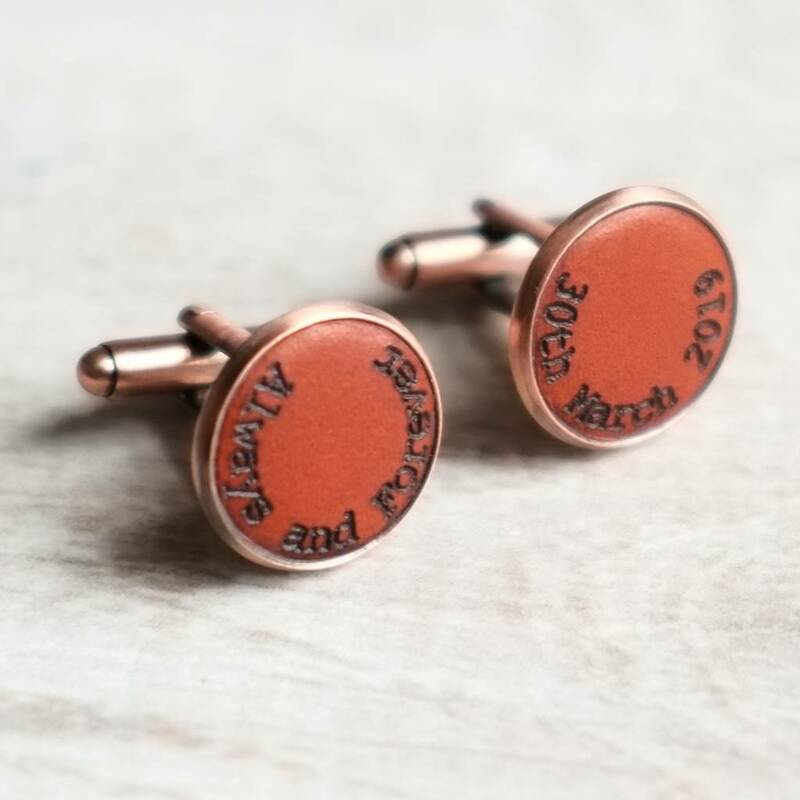 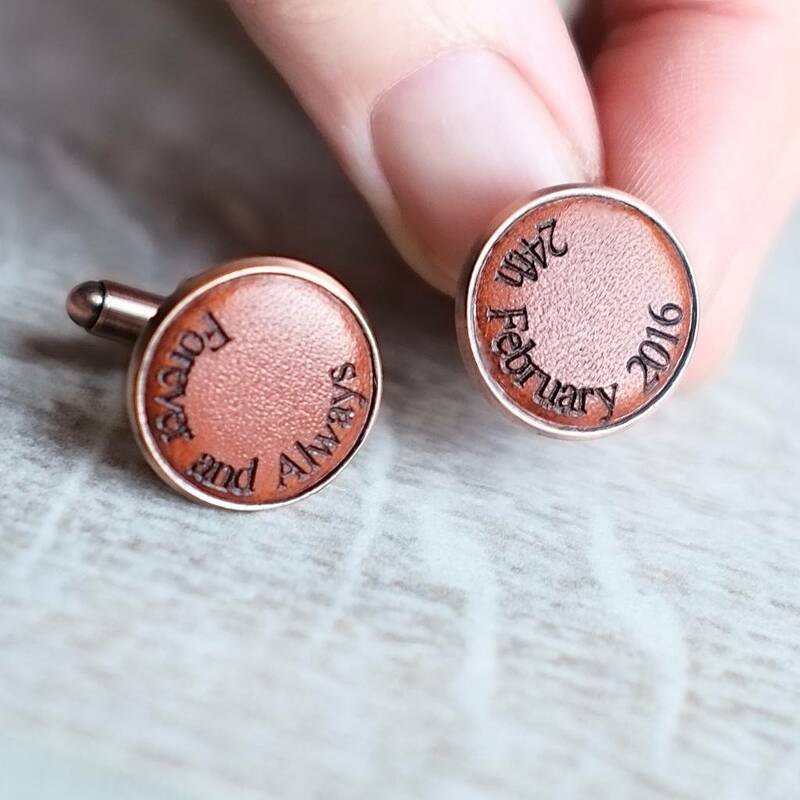 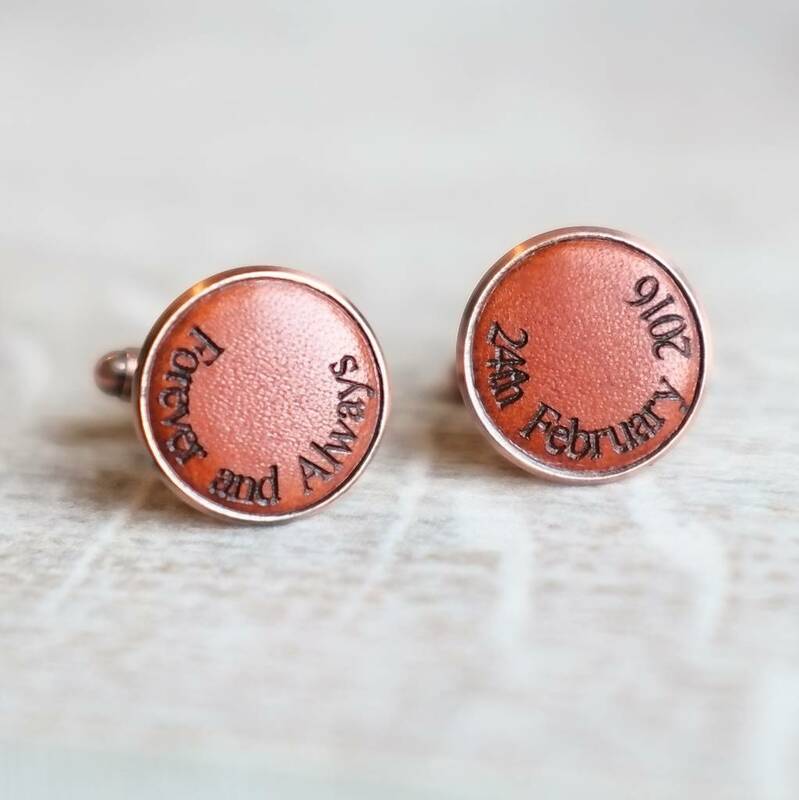 These personalised engraved real leather cufflinks are the perfect original wedding gift idea for him, designed and handmade by Gracie to order. 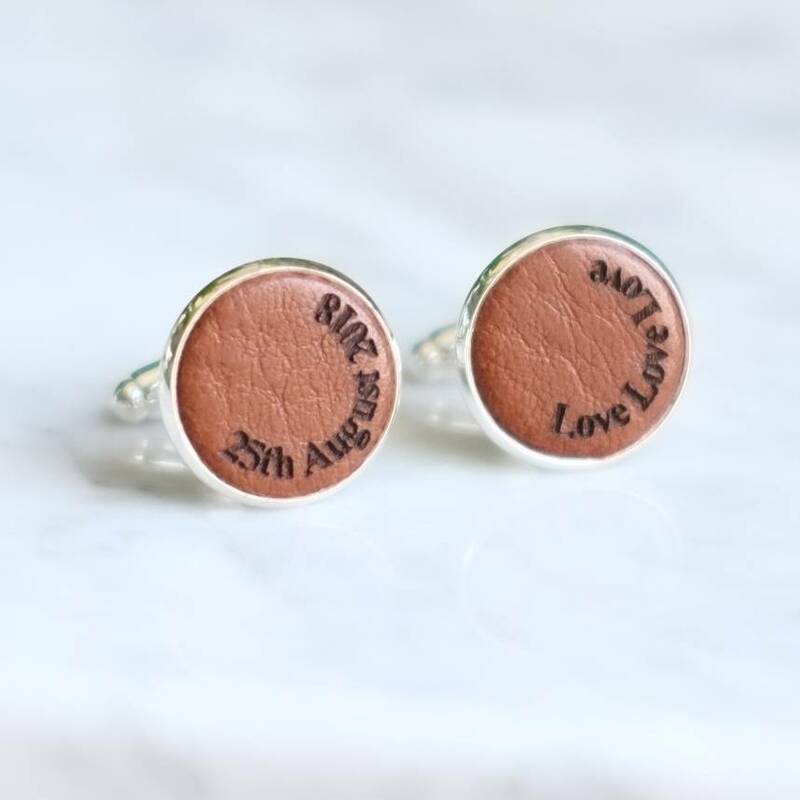 These real leather silver cufflinks can be personalised - add a name, initials, dates or a special message to create something a little different for a Father of the bride wedding gift, or brilliant Dad on Father's Day. They also make great thank you gifts for ushers or your best man on your wedding day. 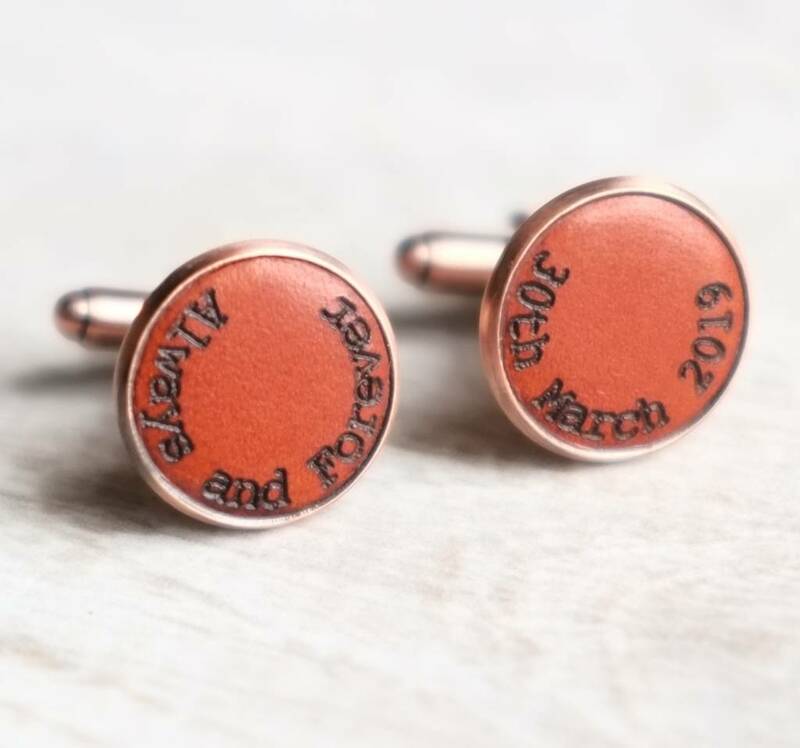 You can have each cufflink engraved with up to 16 characters. 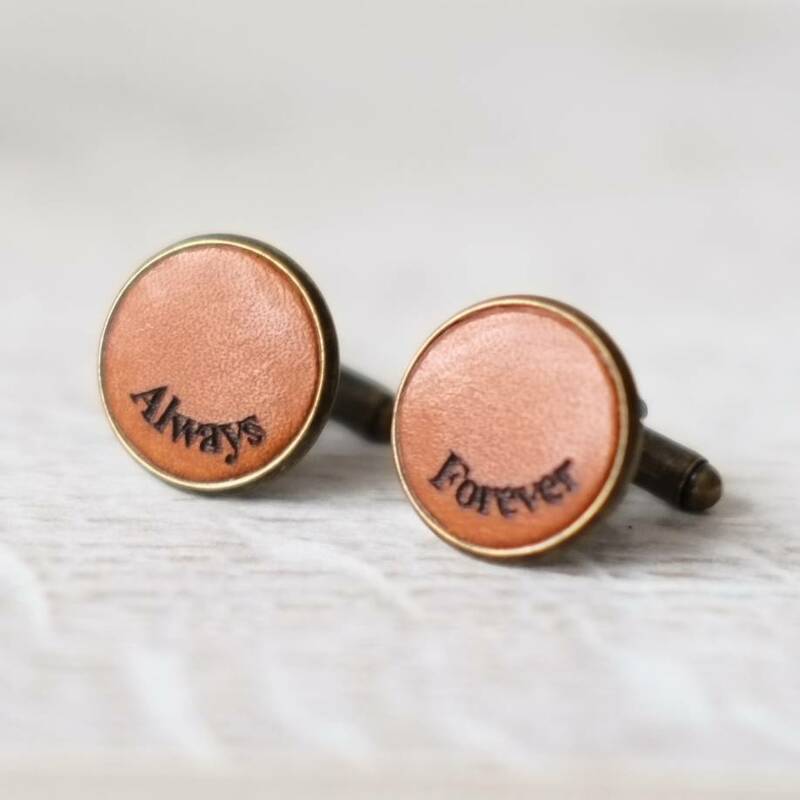 Cufflinks are packaged in a gift box with ribbon and can be sent with a message directly to your gift recipient. 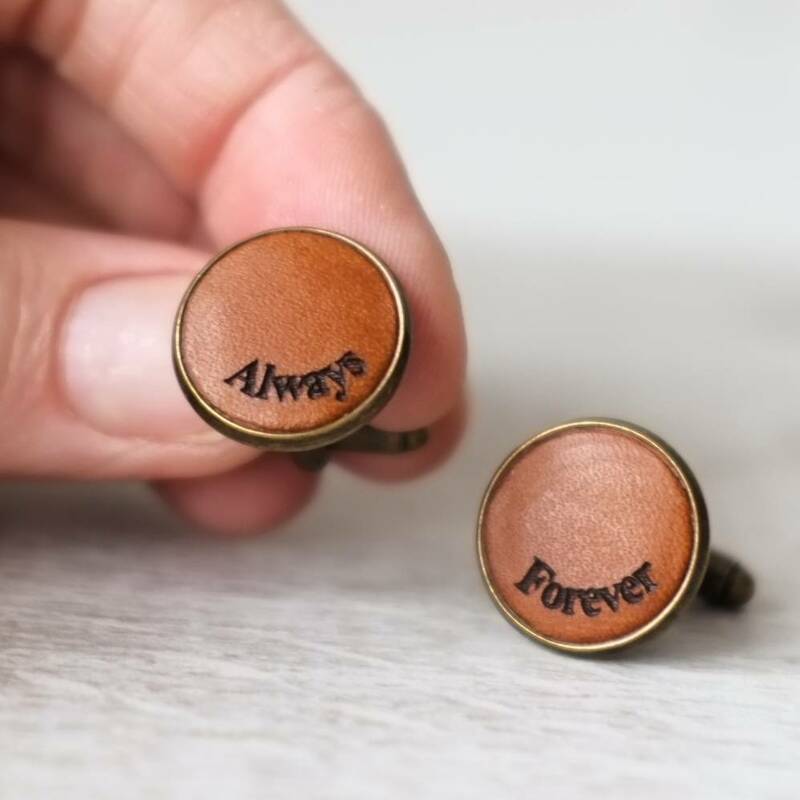 Made using engraved real leather set in silver plated bezels with a pivot mechanism.